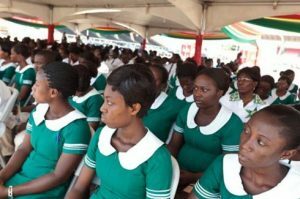 Mr Joshua Abanga, a Deputy Director of Nursing Services (DDNS) at the Regional Hospital in Bolgatanga has advocated unconditional improvement in the quality of nursing by inculcating into the trainees the spirit of professional nursing. Such professional ethics, he said was essential, and fundamental in improving healthcare throughout the country. He mentioned some of the attributes of nursing as; empathy, love, care, respect for human dignity, altruism, commitment, excellence, advocacy for patients, which were essential for improving and promoting quality care. He said these attributes were however now missing from the ‘so called modern nurses’ and insisted that these attributes should be incorporated in the academic lives of student nurses. He advised the nursing trainees to inculcate in themselves patience as they undergo the training, and allow that to manifest in the care they would soon be rendering to their patients. “We live in a ‘smart’ world and everything is now smart including nursing. ‘Smart’ here means quick or done in haste. A nurse needs to have patience in order to manage the patient.” He said. He observed that working in a haste as a nurse could result in errors with unbearable consequences such as delayed and poor recovery periods, high cost of treatment, needless deaths as well as poor customer satisfaction. 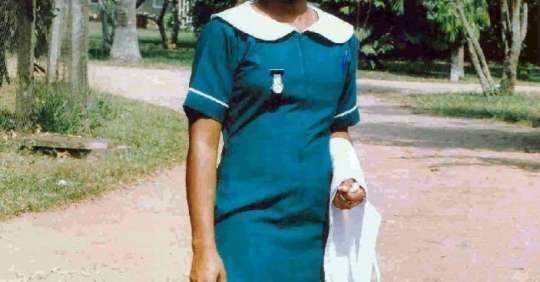 The Deputy Director, who also expressed dissatisfaction in the educational system, said “Instead of the educational system teaching the students how to reason and critically analyze a situation, they are rather taught how to memorize, and so they end up passing West African Senior School Certificate Examination (WASSCE) in a smart manner.” What type of students do you then expect in Nursing Training Colleges?” he quizzed. He said a large number of students who sit for the Nursing and Midwifery Council’s license examinations fail on their first attempt. Mr Abanga said in 2011, only 38.9 percent out of 3,223 students who sat for the examination passed, and in 2013, only 51.8 percent out of 2,439 candidates passed. He said the situation was worrying and appealed for a review of the curriculum of nursing training colleges to make them more practically based to adopt an efficient method of teaching. He called for a pragmatic method of selecting students into the various nursing institutions to ensure that only qualified candidates were admitted. Mr Wilfred Kwose, the Academic Tutor at the college, said the standard of nursing was sinking, and expressed displeasure in the attitude of some nurses who get married to their cell phones to the neglect of patients at the ward. Mr Kwose said the practice was alarming and urged the trainees not to emulate such attitudes when they go for clinical attachments. Mr Donald Anuga, the Dean of students, said the trainees had lost the essence of the GNMTA celebrations which was meant to relieve them of the stressful academic work. He said the college was grooming them to be responsible nurses in future and advised them to eschew all forms of social vices as they celebrated the week. Mr Peter Akolbila Atambila, the Zuarungu NTC GNMAT President appealed to the chief and landlords of the area to reduce the exorbitant rent charges for students since the college was confronted with accommodation challenges for both students and tutors.